Bring the world to youNopat inc. 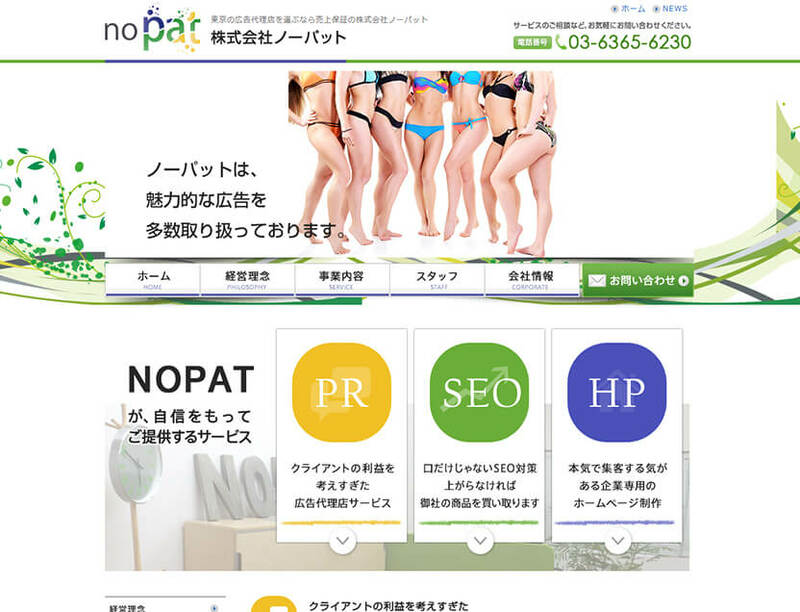 The origin of the NOPAT is Net Operating Profit After Tax. Advertisement and approach to new business are Investment in encountering the client of the future. We deposit and increase investment time and cost, and as a result aiming to return profits. It began as an advertising agency for that purpose in 2010. It's not just advertising now. Today, by using our overseas advertisement, multilingual design, international transport arrangements, translation, trading company functions etc. If you use our service your company will get as close as to the world. Please consult about any issues. We will make proposals that directly lead to profits. 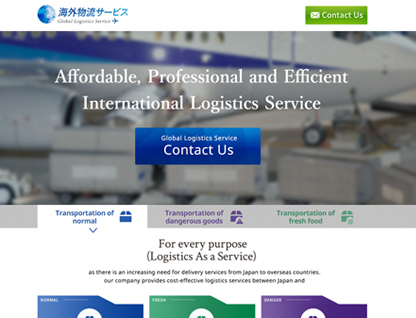 Website on export / import aircraft and ship arrangement. Not only corporate transactions but also construction of transport network for individual transport including cross-border EC, arrangement of dangerous goods and temperature control facilities, trade documents and MSDS which can not be prepared by the transport company, certificate of origin, guidance concerning CITES application concerning Washington Convention etc. We will solve each problem related to international transportation. export and import businessTRADE HUB. 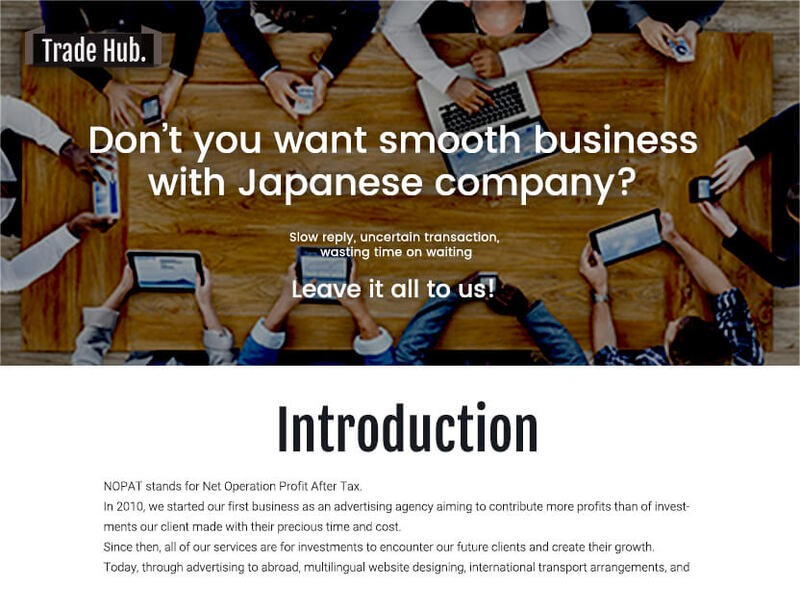 Many small Japanese companies struggling in communication with business from other country often have outstanding and exceptional products and services. We stand between these companies and support for their business to go smooth. We will find out and deliver any items or products you are looking for. Even if you have uncertain or vague memory about the item, we will find the best result to match your want. Regardless of domestic and overseas, we will operate a limited budget centering on Internet advertisements, find a profitable scheme as soon as possible and build a circulation mechanism that can make profits on a continuous basis. Turn to the same direction as your company, realize wasteful advertisement development by thinking. Proposalable advertising media is diverse, but we propose a completely different method for the same product depending on budget, commercial area, service, internal organization. By offering best suggestions, it will be possible to attract the best customers. We always arrange a system that can respond to customer's needs in terms of reading, writing and talking. We will aim for further growth as a translation company trusted by as many customers as possible with the word "to overcome the barrier of words", and as a company that plays a role as a bridge to the world from now on. We know the importance and difficulty of speaking. If you are concerned about whom you talk to, please contact us. Through test marketing that utilizes the current site, you can create the best website from the study of the target languages and countries and the current situation analysis. It was elected as an expert dispatch partner of the international transport department of Seibu Shinkin Bank. 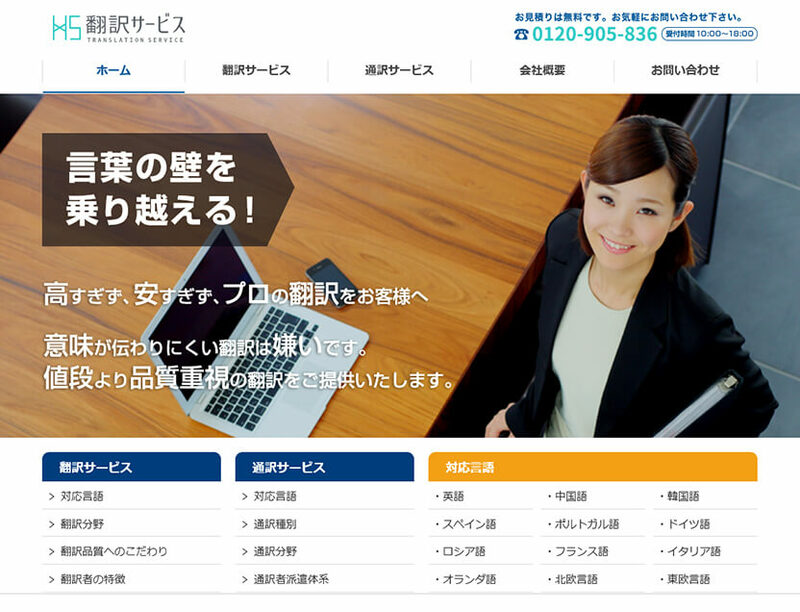 As an expert dispatch partner provided by Seibu Shinkin Bank. We will make a visit accompanying you as a consultation / introducer for international transportation from customers. For details of this service, please refer to the following. 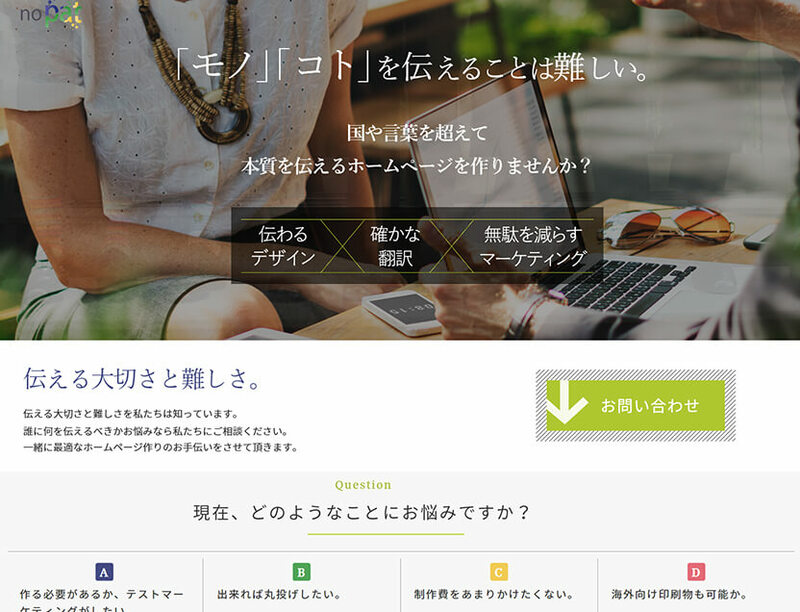 It was selected as a partner institution for international transportation of Alibaba.com Japan Co., Ltd. It is posted on the WEB site as a partner institution concerning international transportation. We will cooperate as a foreign transport consultation destination from companies using services of Alibaba.com Japan Co., Ltd.
Transportation performance of international transportation exceeded 500 companies. About 500 companies have used it for about 2 years after starting service related to international transportation. All employees will strive to provide better service, so please continue your patronage. copyright © Nopat Inc. All rights reserved.